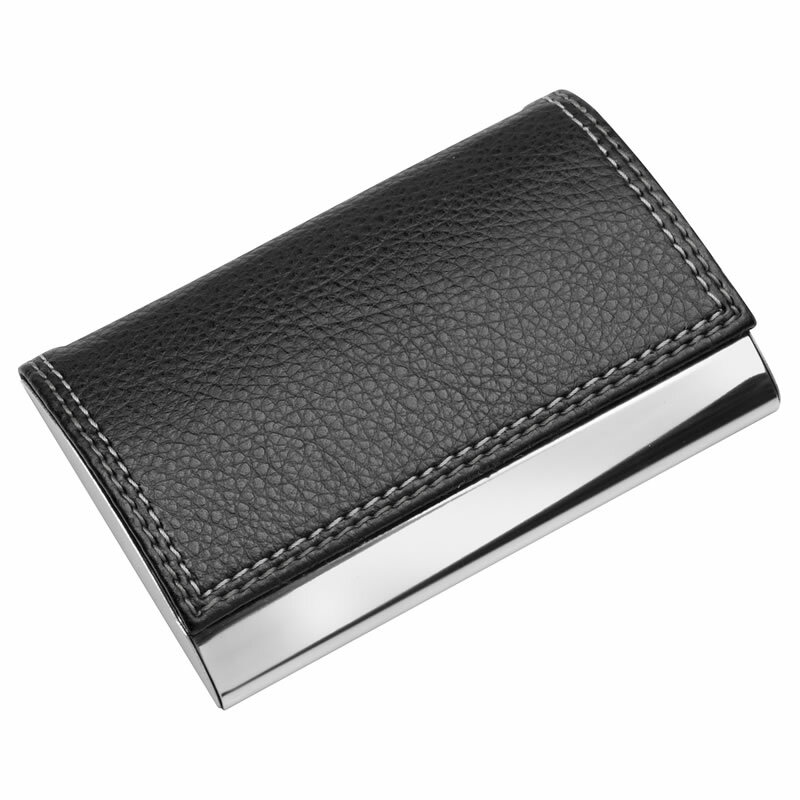 These pocket business card cases are offered here at exceptionally low prices for such a great looking product. They feature a sturdy metal case with a curved, hinged lid, covered in black PU leather. 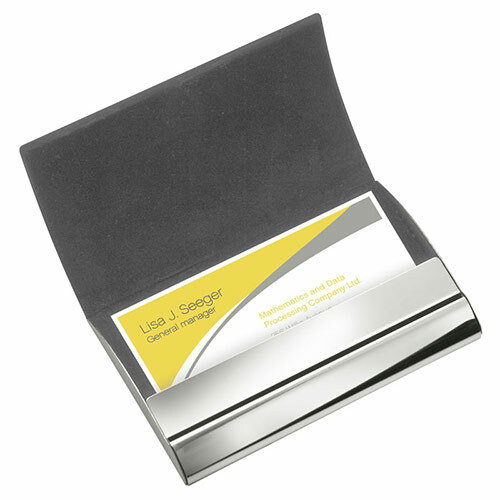 Each case holds 8 - 10 standard size business cards, keeping them crisp and pristine. 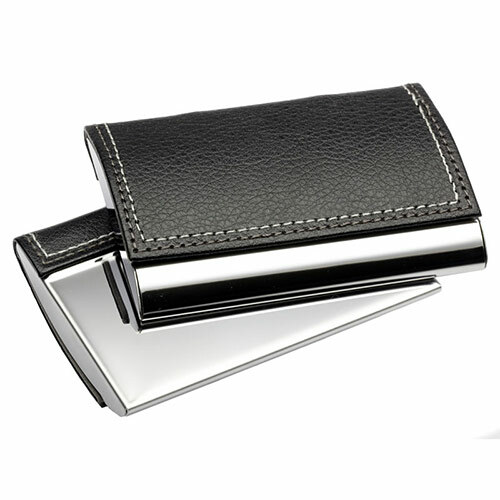 These business card holders can be branded by laser engraving and are offered here with free text and logo engraving.